SPECIAL DJ SKILLS: Marcus uses digital turntables and beatmixes. This is very rare and very cool when combined with wedding-type music. If we had A Bride’s DJ mix-off, he would definitely give everyone a run for their money. This does NOT mean that he only does remixes or techno. He plays whatever type of music you like. WHAT WE LOVE ABOUT MARCUS: No one has ever shown more commitment to come on board than he has. His determination, attention to detail and attitude will win anyone over! 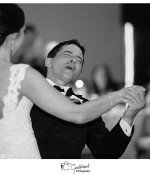 It’s obvious that he loves DJ’ing, and that passion will spill over into your wedding reception. 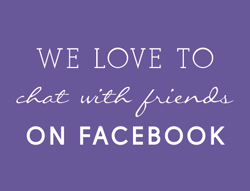 We’re positive you’ll love having him just as much as we do! Marcus is the type of person that everyone gravitates toward, however, he isn’t trying to steal the spotlight. 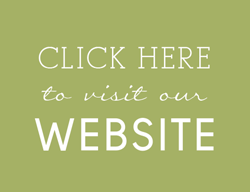 We have a few banquet facilities that mention him specifically to their clients. 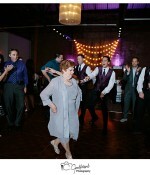 One even calls him the best DJ she has ever seen at a wedding, and she sees quite a few! His clients seem to think the same, as you can see below! He is very humble, kind, and gracious. Marcus is also the guy that will spend hours working to get things right, when needed. FUN FACTS: Marcus played the clarinet in the 5th grade. He’s very, very bad at it. In college, Marcus was part of a hip-hop radio show. He loves all styles of good wedding music, but to say his personal musical collection is varied would be an understatement. His favorite artists and bands include: Carlos Santana, Black Eyed Peas, Isaac Hayes, The Roots, and Earth, Wind & Fire. What personality trait do believe is most important? Mic skills are one of the things that make or break DJs. MC’ing is like seasoning. The right amount is wonderful. Too much talking on the mic can kill a wedding. I feel the guests’ are in attendance to enjoy the couple’s big day. They didn’t come to hear me perform as if it is my own concert. I believe a good MC can read the party and give it gentle nudges as needed. The right mix of music is truly what keeps the party going. Check out Marcus’ sample mix! Heather had a 9/1/2018 wedding at Hyatt Regency at the Arcade. DJ Marcus was AMAZING! Our guests were on the dance floor the entire night. He coordinated everything perfectly. From the ceremony music to cocktail hour and then the reception. He nailed it! We especially loved his turntable style and the music never stopped! Tons of guests came to us complimenting him. My favorite part was when he announced us as Mr. And Mrs. into our reception. 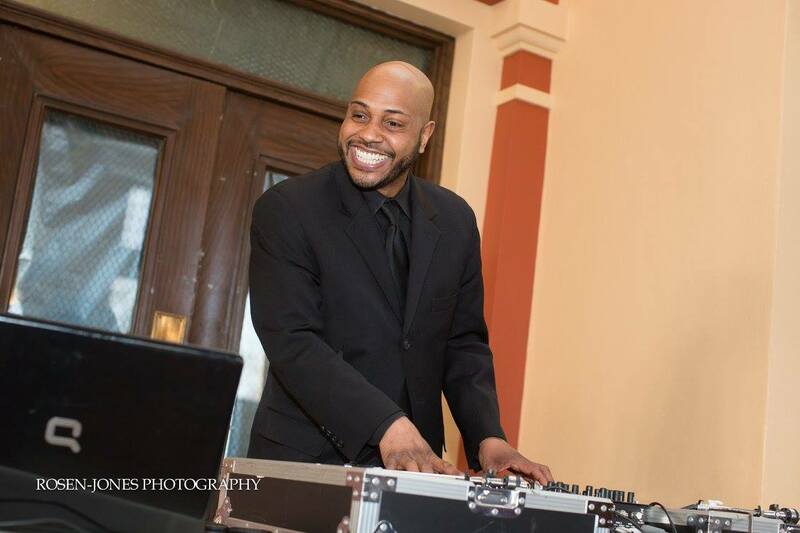 I will definitely recommend A Bride’s DJ especially Marcus to any future bride I come across in Cleveland! Shannon had a 7/20/2018 wedding at Windows on the River. Marcus was an amazing DJ for us. All of our guests loved the selection of music he played and he had everyone out dancing. I would definitely recommend him to all of our friends. Jordan had a 6/22/2018 Wedding at Blue Heron Event Center. Marcus was amazing, everything went as planned and he did a great job keeping us on the timeline, adjusting when things were moving slowly and keeping our guest on the dance floor. With him we did not have to worry about the flow of our evening and many guests complimented how smoothly everything went! Thank you Marcus! Natalie had a 5/25/2018 wedding at Vermilion on the Lake. I have nothing but fantastic things to say about DJ Marcus. 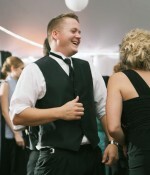 I am so happy with his service and the way he coordinated my wedding. From the moment I met him, I knew he was going to be absolutely fantastic to work with. He made sure to stay in touch with me throughout the night as things progressed and he was super flexible when it came to the timeline and changing things up as needed. He kept my guests dancing all night long. Everyone had a blast and we were all sad when it came to the last song. 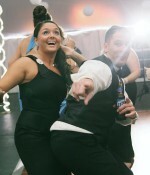 I would highly recommend DJ Marcus and your company to any future brides. Thank you so much for being a fantastic vendor and making our wedding day so fabulous. Denise had a 5/19/2018 wedding at La Malfa. Marcus was AMAZING. Music sounded great, everyone loved the turntables, and he played the songs we wanted. He was very good at communicating to us quickly and efficiently about what the plan was for the day. He checked with us first when my uncles made some weird requests, too. He really made the whole night flow smoothly. Between you guys in the office and Marcus, the DJ portion of wedding planning was the easiest and least stressful, we can’t thank you enough! I’ll be posting reviews on the Knot, etc. soon so everyone knows how great everything was! Claire had a 4/28/2018 wedding at The Lodge of New Russia Township. I just want to thank you for being so helpful from the beginning! I loved being able to talk with you on the phone in the beginning and knew I found someone I could trust in helping me plan the music for the wedding. It was truly an amazing night. Marcus was incredible and he was so great at making sure we knew what was going on throughout the night. I think out of everything from our reception, a ton of our guests kept saying how excited they were to hear what song Marcus was going to play next. My family loved it so much that they requested and paid for more time and he graciously accepted and played a little longer because we weren’t ready to leave! He was amazing and I couldn’t have asked for a better person to DJ our wedding! Thank you again for everything, you all were by far our favorite to work with and I will be recommending you to anyone who needs any DJ services! Lexi had a 3/23/2018 wedding at Windows on the River. 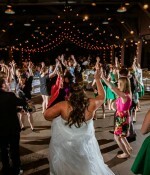 We were so happy to have chosen A Brides DJ for our wedding. Marcus did a great time and played almost everything that we asked. My only complaint of the entire wedding was that we ran into a little bit of a time crunch with certain things going longer than expected, but that was in no way up to Marcus and he actually did a great job trying to facilitate the time before and after. The night was amazing thanks to our DJ and everyone had a great time! Thank you so much for being a part of our experience! Jenn had a 2/24/2018 wedding at 78th Street Studios. Marcus was AWESOME. Seriously – I’ve received compliments on the music/DJ several times now. I would definitely recommend him to anyone getting married in the future. Holly had a 1/20/2018 wedding at Saint Demetrios Cultural Center. Marcus and your company did an amazing job for our reception. Many people commented on the music and Marcus was great at keeping people dancing. He also did a nice job of getting everyone organized for the entrances and kept us on track while also giving us time to do the things we needed to. I would definitely use your company again in the future. Thank you! Sam had a 12/2/2017 wedding at Hyatt Regency at the Arcade. We couldn’t have been happier with Marcus. He played the perfect selection of music to keep everyone dancing, we were shocked how packed the dance floor was the entire night. One thing we notice at a lot of weddings is the dance floor is packed, then clears out quickly due to bad music selection. Marcus made sure that never happened. He played everything we wanted to hear & made sure not to play what we didn’t. It sounds mean but I’m glad he didn’t play all of the requests from our guests haha. Some of them told us what they requested & I would have been disappointed to hear it played since it was opposite of the genres of music we wanted. Jennifer had a 11/3/2017 wedding at Windows on the River. I can’t say one bad thing about Marcus. We absolutely LOVED him! Music and party was amazing!! I couldn’t of imagined it any other way. Marcus made our wedding! We couldn’t stop talking about it after the wedding and everyone said the music was fantastic. I can’t thank you guys and Marcus anymore, we had the best wedding ever! Thank you! Courtney had a 12/31/2016 wedding at Cibreo Privato. Katie and Matt had a 12/17/2016 wedding at Ballroom at Park Lane. Lauren had a 12/3/2016 wedding at Hyatt at The Arcade. Matthew had a 10/1/2016 wedding at Stambaugh Auditorium. Shaina had a 9/23/2016 wedding at Hyatt Regency at the Arcade. Janet & Scott had a 9/17/2016 wedding at Chagrin Valley Athletic Club. Brittany had a 9/16/2016 wedding at at Chagrin Valley Athletic Club. Corey had a 9/10/2016 wedding at St. Michael’s Woodside. Everything went off without a hitch. Marcus was awesome. Thanks! Caitlin had a 9/4/2016 wedding at Skyland Pines. Marcus was awesome! 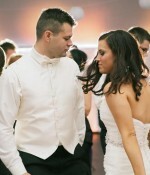 We had a great conversation the week before the wedding to discuss everything and he played awesome music the day of. We had lots of compliments on the pre-ceremony music, the dinner music and everyone was on the dance floor all night long. Marcus announced the first shuttle back to the hotel and literally no one left the dance floor because everyone was having such a great time! He was awesome and we couldn’t have had such a great wedding and reception without him. Thank you!! Danielle had an 8/12/2016 wedding at The Grand Barn. Marcus listened to my requests for our receprion and not only honored it but exceeded my expectations with helping coordinate times and helping our wedding run smoothly. Thank you! Allyson had an 8/6/2106 wedding at Whitehall. Marcus was able to accommodate all of my requests and blend the music seamlessly to create the non-stop dance feel that my husband and I wanted! We loved his style of DJ-ing and our guests had nothing but nice things to say about him as well. Lindsay had an 8/5/2106 wedding at The Club at Key Center. Marcus was very easy to work with before our event and during. The bridal party arrived later than expected to the reception which threw off our schedule of events, but Marcus handled everything perfectly and got us back on track. 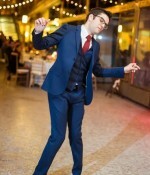 Our guests enjoyed his DJ style and we had people dancing until the reception ended! Natalie & Branden had a 7/29/2016 wedding at The Lodge at Geneva on the Lake. Amanda had a 7/20/2016 wedding at Wellington Eagles. I have been meaning to email and let you all know how wonderful Marcus was. He exceeded my expectations by a long shot. He did so well coordinating everything and kept the evening running smoothly. 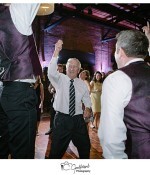 He kept the dance floor packed till the end with the young and the old. I received many compliments from my guests about him. I had a DJ disappear on us and keep our money and that is how I ended up at A Bride’s DJ and I have never been more grateful. He had a great sense of humor. The music selection was great. It was great! I can’t say enough good things about the company and Marcus. I have been passing my referral along!! Thank you for everything! Kyle & Gretchen had a 7/16/2106 wedding at Manakiki Golf Course. Everything about our experience with A Bride’s DJ was great, starting from our first emails with Diana, all the way through the wedding day itself. The process of selecting a DJ with Diana that matched the style of wedding we wanted really shows that A Bride’s DJ truly cares about each bride and groom and finding exactly what they’re looking for. We couldn’t have been happier with our DJ selection as well, Marcus was incredible from start to finish. He asked all the right questions before the wedding to ensure he knew exactly what was happening and when. He was very proactive in determining what songs/style of music should be played as well. When the wedding day finally arrived, Marcus was great and everything went even better than expected. The ceremony music was perfect, timed appropriately and was at the right volume. The reception was even better. From start to finish, our dance floor was packed the entire night. Songs transitioned seamlessly and Marcus did an amazing job of reading the crowd to determine what to play next. His ability to mix songs using his turntables was awesome! There was never a down moment the entire night! 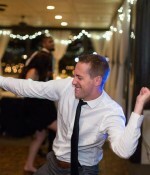 Numerous friends and family have told us that our wedding was the most fun wedding they’ve ever been to, specifically complimenting our DJ and his ability to keep dancing going the entire night. We could not have been happier with our DJ services, both with A Bride’s DJ as a whole, and with our own personal DJ, Marcus. He was a huge reason that our wedding night was so much fun for everybody there. 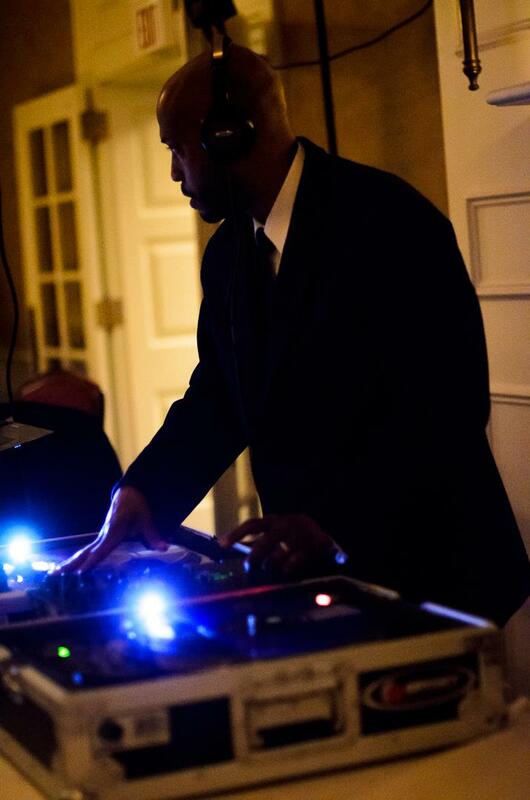 We would have no hesitation recommending both A Bride’s DJ and specifically Marcus to anyone looking for a wedding DJ! Madison had a 7/10/2016 wedding at Happy Days Lodge. Curtis & Katelyn had a 6/24/2016 wedding at Underwood Hall. My experience with Marcus and your company in general was superb from start to finish. Marcus not only flawlessly executed every request we made as far as musical selections, but he was very easy to work with and extremely professional and courteous. I will strongly recommend your company and Marcus to anyone who asks. Katherine had a June 2016 wedding at Greystone Hall. Marcus was awesome! He was very professional and tuned in to what John and I were looking for. He took the time to talk to the both of us a week prior to the event and sent a detailed schedule for our big day. We were very happy with the music and spinning /mixing choices Marcus used. All of our guests raved about the music and event. Thank you Marcus and A Brides DJ for your services !! Colleen had a 6/17/2016 wedding at Marriott Cleveland Airport. Marcus did a great job at anticipating our style of music and pleasing both older generations, as well as young. Christopher had a 7/9/2016 wedding at Bay Arts Fuller House. We had an amazing wedding and amazing music thanks to Marcus! He kept everyone in the zone, played what we asked, did some requests, as well as was able to modify on the fly when we chose to skip over some of our own events! Would gladly recommend him to anyone looking for a trustworthy and through DJ. Janice had a 6/4/2016 wedding at 700 Beta Conference Center. Andris & Christopher 5/29/2016 wedding at Hyatt Regency the Arcade. We truly enjoyed working with DJ Marcus! He was attentive to all our needs, and would offer great advice on situations that we were unsure of. All of our guests had a great time. 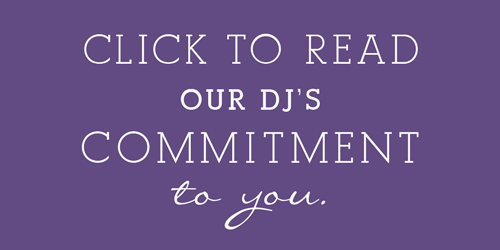 We will definitely spread the word and we highly recommend A Bride’s DJ! Michelle had a 4/23/2016 wedding at St. Paul Hellenic Banquet Center. Zachary had a 4/22/2016 wedding at The Arcade. Czapar-Velasquez wedding 4/16/2016 at Windows on the River. Shawn & Courtney had a 4/9/16 wedding at Windows on the River. Dina & Josh had a 4/2/2016 wedding at WhiteHall. Sarah and Jordan had a 6/27/2015 Wedding at Deluca’s Place in the Park, Lorain, Ohio. Katie and Dave had a 6/13/2015 Wedding at The Westin Cleveland Downtown, Ohio. Ronald and Amanda had a 6/12/2015 Wedding at Columbia Ballroom in Columbia Station, Ohio. “Marcus is the best by far. We were lucky to have him. He did everything we wanted and more. Our guest raved about him all night and still do a week later. Krista and Greg had a 6/6/2015 Wedding at the Hyatt Regency Cleveland at The Arcade. Kayla and Stephen had a 5/30/2015 Wedding at the Renaissance Cleveland Hotel, Public Square, Downtown Cleveland. Nadege and Joshua had a 5/24/2015 Wedding at Roses Run Country Club in Stow, Ohio. Mary Beth and Bobby had a 5/22/2015 Wedding at Windows on the River in Downtown Cleveland, Ohio. Katherine and Joseph had a 4/18/2015 wedding at Windows on the River, Cleveland, Ohio. 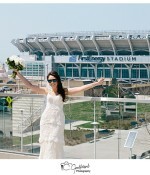 Katie and Nick had a 4/18/2015 Wedding at Windows on the River, Cleveland, Ohio. 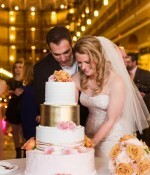 Amy and Andreas had a 3/7/2015 Wedding at Hyatt Regency Cleveland at The Arcade. “Marcus was awesome! He did a great job and helped the evening run smoothly. Diana was also very helpful with the coordination of everything. Thanks for everything! Harmony and Jay had a 2/28/2015 wedding at Hyatt Regency Cleveland at the Arcade, Cleveland, Ohio. Kelli and Jack had a 1/24/2015 Wedding at Ariel International Center. Grant and Sarah had a 12/27/2014 wedding at Springvale Ballroom, Olmsted, Ohio. Christina and Andrew had a 12/13/2014 wedding at Massimo Di Milano, Cleveland, Ohio. Michelle and Joseph had a 11/29/2014 wedding at 78th Street Studios, Cleveland, Ohio. Mandi and Greg had a 11/22/2014 wedding at The Lodge at Geneva on the Lake, Geneva, Ohio. Bethany and Steven had a 11/08/2014 wedding at Squire Valleevue Farm Manor House, Hunting Valley, OH. 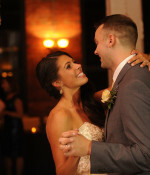 Courtney and Jake had a 10/25/2014 wedding at The Vault, Columbus, Ohio. Courtney and David had a 10/18/2014 wedding at The Lake Club, Poland, Ohio. Kelly and Steven had a 10/17/2014 Wedding at Ariel International Center. Cassandra and Nick had a 10/05/2014 wedding. Dan and Kate had a 10/4/2014 wedding at 100th Bomb Group, Cleveland, Ohio. Arielle and Daniel had a 9/28/2014 wedding at The City Club of Cleveland, Cleveland, Ohio. Mikaela and Jonathan had a 9/27/2014 wedding at Hale Farm and Village, Bath, Ohio. 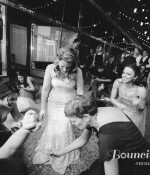 Michelle and Jared had a 9/26/2014 wedding at Michaud’s, Strongville, Ohio. 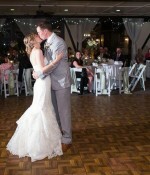 Lyndsey and Andrew had a 9/20/2014 wedding at The City Club of Cleveland, Cleveland, Ohio. 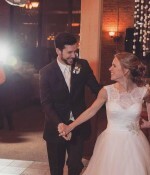 Malorie and Matt had a 9/19/2014 wedding at Happy Days Lodge, Peninsula, Ohio. Katharine and Tony had a 9/13/2014 wedding at Windows on the River, Cleveland, Ohio . Lyndsay and Jimmy had a 9/12/2014 wedding at Weigand’s Lake Park, Novelty, Ohio. 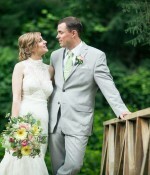 Ellen and John had a 5/24/2014 Wedding at Happy Days Lodge. Alexis and Brandon had a 9/14/2013 Wedding at Quail Hollow Resort in Painesville. 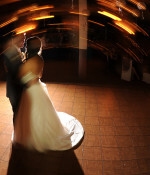 (Photo by Lane Baldwin Photography at Quail Hollow Resort in Painesville). Vanessa and Thomas had a 8/10/2013 Wedding at The Club at Hillbrook.